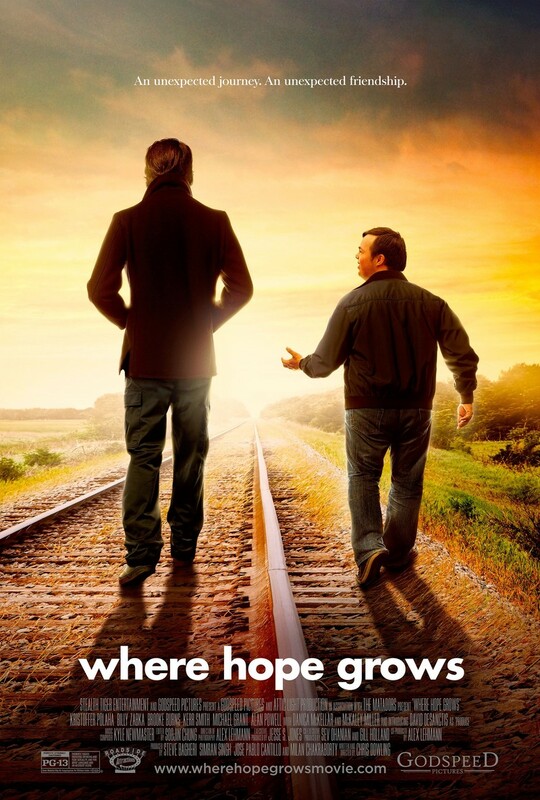 Where Hope Grows DVD and Blu-ray release date was set for August 25, 2015. Former professional baseball player, Calvin Campbell, embarks on a new life journey just when he needs it most. When panic attacks force him into early retirement from the big leagues, Calvin must face the realities of everyday life, including how to raise his teenage daughter. Just as depression starts to take him on a downward spiral, he finds himself developing an unlikely friendship with a young grocery store clerk who has Downs Syndrome. Calvin begins to experience the world through the eyes of the young man by focusing on faith, work and family. As the pair become closer through the bonds of friendship, a single decision from Calvin's past leads to tragedy, and he must also now learn to find hope.